Luce begins her first day at Sword and Cross, a reform school, and feels lost until she sets eyes on Daniel Grigori. Suddenly she feels like she is home and has known him all of her life. He insists he does not know her and tries to push her away at every opportunity. Meanwhile, Luce is trying to come to terms with the reason she has had to come to Sword and Cross. She was involved in another student’s death at her previous school and knows that her weird visions had something to do with it, but she maintains her innocence to anyone who questions her about the incident. She meets some unusual students at the school and finds she has no real allegiance to any of them when Daniel is present. Can she find out why she is so drawn to him and yet why he is so determined to keep her away? This fantasy mystery story will appeal to the Twilight and City of Bones readers. There are no vampires in the story, but the romance is compelling as it plays out. The story has a unique nature that many fantasy stories do not and the characters are colorful and memorable. Beware that there is a sequel in the works and the story is not resolved by this book’s end. 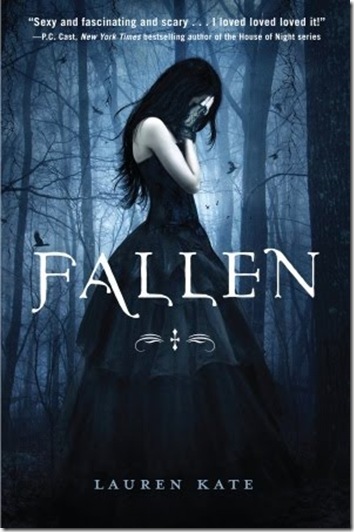 A must read for fantasy/romance lovers. # of Pages: 235 p.
Garrett is forcibly taken from his home and transported to Lake Harmony, which is a reform school for teens. His parents basically signed their rights away and give the boot camp the right to use whatever force they feel is necessary in order to steer their child down the “right path.” Garrett believes that some of the decisions he has made are ones he would make again and that his parents just can’t handle the publicity of having a difficult child. As he struggles not to succumb to the torture, beatings, and humiliation he comes to the terrible realization that he may never get out unless he bends to their will. As he looks around he sees those who have thrived in this school and appear brain washed because of it and those who refuse to give in and look beaten down and exhausted. How can he survive without losing who he is and what he believes in? 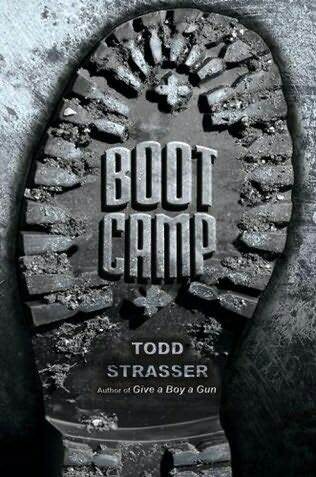 Todd Strasser has put the spotlight on these teen bootcamps that are more plentiful in the U.S. than anyone might think. Parents pay thousands of dollars to have their child straightened out, but often the tactics used by these places are unconstitutional. These places work by cutting any trust or communication between parents and their children so that no one thinks they have any choices, but to let the school do what it thinks it best. This is an issue that teens and parents should be aware of and this is a fast paced, exciting story that all teens will love, but especially teen boys. Angela Cardenas is sent to the Hidden Oak School for Girls for a reason she does not readily explain. Her family does not even take her to the school. Instead, she has to take a bus and then walk up a big hill to get there. When she arrives she is placed in a temporary facility with other new girls who begin to disappear one by one. When she is finally taken to live with the general population of girls she notices that she is the last one to arrive, even though several girls remained in the temporary facility when she left. She begins to grow suspicious when she asks about them and is severely punished. Despite several warnings against finding these girls, Angela decides she has to know where they are and if they are okay. Are they in danger? And if so, can she save them without meeting a similar fate? This book follows Angela as she tries to come to terms with the reason why she has been sent to this school, but at the same time tries to find out why there are so many secrets about the school. Is the school really looking out for her best interest or are they merely hiding some illegal actions and punishments that are currently practiced at the school? The story drags a bit in places, but there is a surprise in the plot when Angela slowly discovers what they do to the bad girls. Readers who like gritty books and survival stories will enjoy this.